How have you all been? Well i hope! Not too worn out from the Convention exclusive craziness. I’m sure you all know it’s Black Friday soon, which as usual brings its own kind of craziness. Feel free to check out our Black Friday page! We will be updating it as Black Friday comes closer with all the information you’ll need, look out for the Hot Topic R2-D2 and the GameStop Mystery Box. I know you love those Mystery Boxes .. kidding. 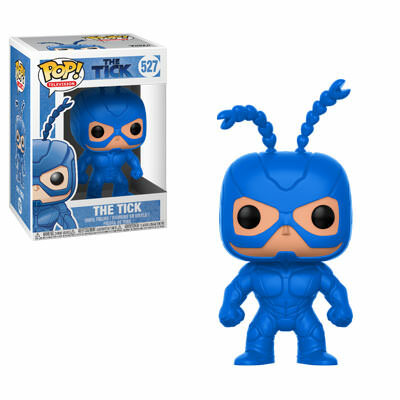 Here’s some micro Funko POP News for the day! Highlights include Young Rick POP from the Rick and Morty Mystery Box! Links here for many POPs, like Halloween Max and Scorpion who have been in stock briefly! Anakin, Spider Woman, more Moon Knight and Bespin POPs are coming soon! Here’s a peek at the upcoming exclusive Glitter Jareth pop from The Labyrinth (Click me!) Exclusive to Think Geek! The HT Exclusive Eleven Dorbz is still delayed for now! Should be available in the next week or so. Here are some POPs that have come out or back in stock recently in case you missed them! Watch out for the upcoming mega 10 inch Hulk POP exclusive to Target! BAM: Coupon code “SIGNED” for $5 off $35. Hot Topic: Most common and Exclusive POPs are only $9 each ($4.50 Ea when combined with Hot Cash). Hot Topic: Dorbz $7.90 Each. Hot Topic: Rock Candy $9.90 Each. GameStop: Rock Candy from $7.97 Each. Box Lunch: Use coupon code from below to get $25 off any orders of $75 and more (Equates to 33% off). Coupon code here (Click me!). Click read more to see the rest of the article! Some exciting news ahead! 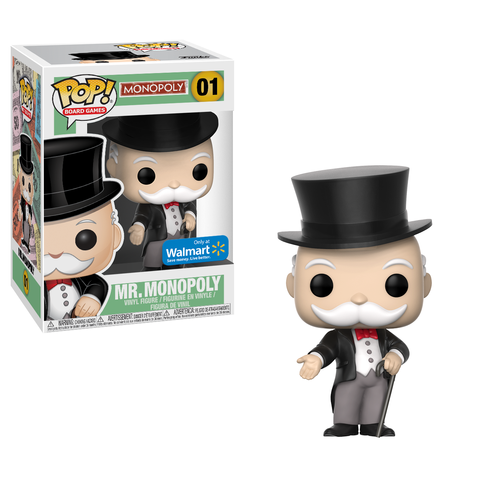 Here’s a nice peek at the upcoming Walmart Exclusive Mr. Monopoly. Very fun! Coming late November. Funko finally announces a proper line up of Looney Tunes characters! Exciting news, including plush and an exclusive. Hitting stores this January! A nice line incoming from the Saga comic book series! Including a Chase, Exclusive and something special for Free Comic Book Day! Coming December. Funko announced their Entertainment Exclusive Flocked Rafiki and Flocked Simba with Leaf mane. A must have for any Lion King or Disney fan! The awesome third wave of Stranger Things POPs are out now! Who is your favorite? 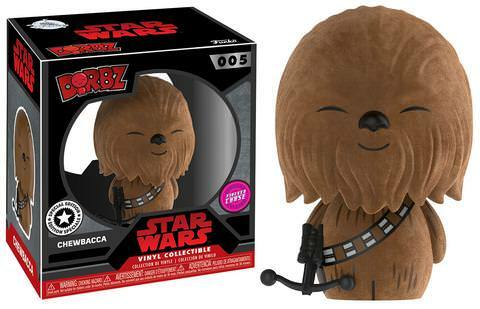 Here is the full line up of just released Star Wars Dorbz, including a Chase Chewbacca! What’s different? Well he’s Flocked of course! Like many a license before them, Attack on Titan are entering the world of Dorbz! Both Mikasa and Levi are limited to 5,000 pieces. Coming December. Emperor’s new groove is coming to town this February! Eager to try and get that Chase GITD Yzma for sure! Welcome home to Fraggle Rock, bringing you back to your childhood this December with plenty of old friends! Still hopeful to get the GITD Tick someday! But this will have to do for now, coming December! A monthly tradition, it’s the Specialty Series! The POP this time is “Uncle Traveling Matt” and the Dorbz is “Kingdom Come Superman”. Keep an eye out this February! I’m glad they’re bringing these guys to POP form, but i do love the Vinyl versions for sure. Chase King Dice anyone? Wait till February! You’d have to be an SNL fan to get this one, it’s David S. Pumpkins from their famous Halloween sketch! Coming this December. Arriving this December is more from the seemingly impossible to defeat Rick and Morty line! Pint Size Heroes and Vynl. to come! 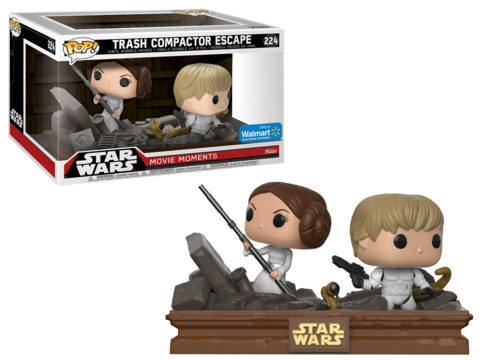 Very excited for these later this November, Leia on her Speeder Bike along with a Luke Chase! These will look awesome on display. Apparently arriving on the very specific date of November 18th, it’s a whole 4 Star Wars Movie Moments sets! All exclusive to Walmart! Funko shares with us some photos of their huge Times Square celebration! This was to announced their IPO as they entered the stock market, along with that they set up a small shop selling various POPs plus an exclusive POP Tee and Dorbz! What’s that, finally you say? Well yes! Coming this January you can finally welcome Jerry Garcia, Elton John and Kurt Cobain to the POP world! In this video Hillary and Sully talk Sci Fi! And open up a whole box of Sci Fi Pint Size Heroes, what is your favorite character? Brought to you by Yoko and Hillary we have the latest Stranger Things POP line! These are joined by the Vynl and Action Figures. Yes they pretty much released Wave 2 and Wave 3 at the same time! Take a quick peek at the upcoming Saga POPs! From the well known Brian K Series. The Star Wars Dorbz have come to town! Finally you can get your favorite character in Dorbz form .. you did want Dorbz right? Hillary and Yoko here again, this time presenting the latest in horror! What is your favorite from the new horror line? Mine is Carrie for sure! Here’s a quick peek at the third wave of Stranger Things Funko POPs, got to get that Max! Where are you? Take a sneak preview at a whole new world of accessories from Loungefly, nightmare style. The awesome Yoko and Hillary here again, presenting the full line up of Coco for you! From POPs, Mystery Minis, Exclusives and Chases. Your favorite Funko people get together to get their hands on the new Loungefly Nightmare Before Christmas merch! What is this? In honor of the new film that just released, here’s a small animated film brought to you by Funko and Marvel! Spoiler Alert! You have been warned, unless you love spoilers. Yoko and Sully unbox the November Legion of Collectors box with the theme “Justice League”. Did you love Cuphead the game? How about the Vinyl figures? Well now Funko brings you POPs and Plush! Take a sneak preview here. The latest in the Disney line of POPs, Funko announces the Emperor’s New Groove! Exclusive and Chase included as per usual! 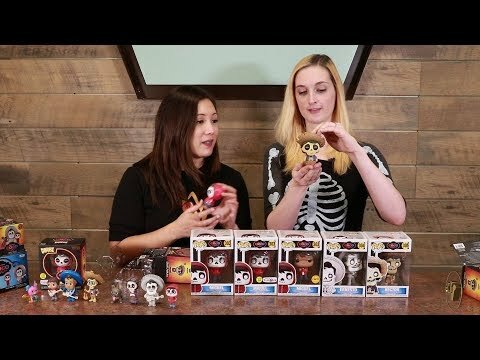 Yoko and Hillary here, showing off the latest line of beautiful Disney Princess POPs! ← Target Exclusive Bob Ross Pea Pod Funko POP! Out Now!